Property 11: Home, swimming pool and outdoor living with stunning views. Property 15: Quiet location with great views. Games room. Patio, large garden. 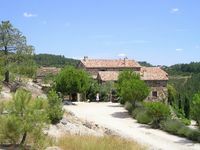 Ardèchoise house sleeps 6 in a hamlet perfect for exploring the South Ardèche. Property 17: Ardèchoise house sleeps 6 in a hamlet perfect for exploring the South Ardèche. gites of charm rooms of hotes and mobilhome: environmental agrotourism - gîte"le Murier"
Property 35: gites of charm rooms of hotes and mobilhome: environmental agrotourism - gîte"le Murier"
Property 38: Beautiful farm with lake view, quiet, close to ski organizations. Property 45: In the middle of the last Alpage in the center of Chatel, Pags Haut awaits you. 1896 Farmhouse 5 Rooms 9 Guests. Great Nature in Farming Country. Property 46: 1896 Farmhouse 5 Rooms 9 Guests. Great Nature in Farming Country. 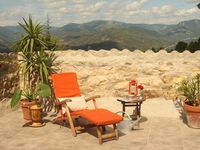 Quiet- on the top of a montain with a very big and pleasant terrasse and in driving distance to many beautilful villages, waterfall, caves and Pont d'Arc. The views are magnificent from the terasse where you can always find a place in the shade. The house and kitchen is very well-equipped with all you need and more. Am&eacute;lie and her family are wonderful hosts - it is nice to have them nearby in case you need something.The small outside breakfast restaurant is wonderfull serving unsurpassed breakfast with many homemade specialities. Beautiful hideaway in the french hills. The location of the bergerie and the surrounding building is glorious. It overlooks a valley and a river and is surrounded by vineyards, olive orchards, and pristine forests. There are numerous hiking paths just a stone's throw from your front door and the property itself is gorgeous. Brodie and Diane are wonderful and welcoming and they have done an amazing job in restoring the house and it's property; surrounded by slopes of native plant-life and wild flowers, it's a perfect escape. the swimming pool is the cherry on the cake! It's a saltwater pool - which means great for the environment (no chemicals) and great for retaining heat; the pool is keep impeccably clean and maintained. The lodging in the bergerie is full of charm and taste. It's well renovated with all the basic comforts of home. Les Vans is the closest village at about a 15 minute drive from Le Savel and has everything you need to complete a vacation stay (markets, stores, restaurants, cafes, etc.). Further on and easily accessible is the wine region of the Ardeche. We plan to come back often - it's perfect.